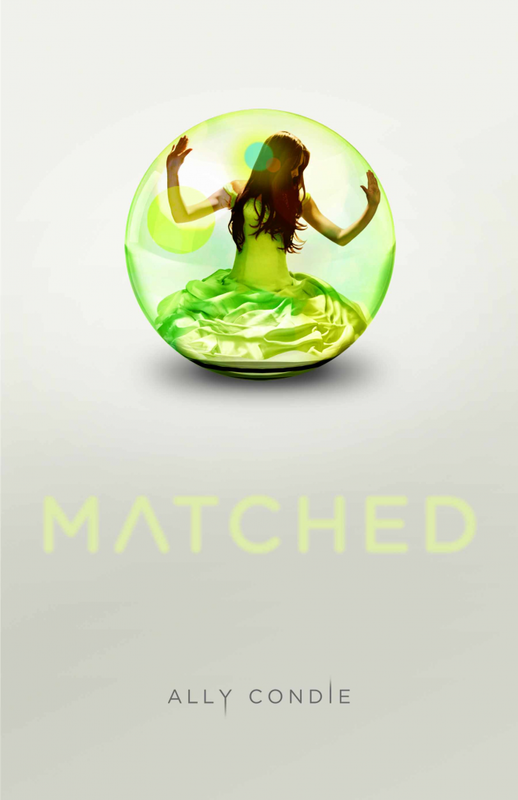 Matched by Ally Condie. Grades 7 and up. Dutton, November 2010. Reviewed from ARC provided by publisher. 366 pages. Cassia couldn't be more excited. Not only is it her 17th birthday, but her birthday is falling right on the day of her Matching ceremony. The Society Matches every eligible and willing person with another person, usually from a different city or province. The Matches are chosen based on a number of factors and the best probability for a happy, healthy family. When Cassia finds out that her Match is her good friend Xander, she's overjoyed. They already know so much about each other and she's happy that they'll get to start a family together. But when a glitch in the system shows her another boy who might be a Match for her, Cassia's world starts to spin off its axis. As she gets to know Ky better, she starts to have feelings for him. And the more she finds out about the Society, the more questions she has. Matched reminded me of The Giver by Lois Lowry* but aimed at older girls. I was drawn in immediately by the fascinating dystopia that Ally Condie has created. I had to know more. The Society controls everything about everyone's life. They assign jobs, Match partners, deliver food with the proper nutritional content, and they've even picked out 100 Poems, 100 Songs, and 100 Artworks that people may read, hear, or view. They control everything so they can offer all inhabitants an optimal life. Disease has been all but eradicated. Wars are being fought, but they are far away where most people don't have to think about them. As the book progresses, Cassia begins to question more and more, finding the cracks in this perfect life that the Society has created. I think Ms. Condie has created an intriguing world and she builds the tension up nicely to keep the reader interested. I started this book before I went to bed last night and ended up staying awake for an extra hour because I wanted to see what happened next. There are some nice plot turns, some I suspected and some that surprised me. This will definitely please fans of dystopian lit and it has a nice element of romance, so I'd recommend it to fans of paranormal romance, too. Hand it to fans of Scott Westerfeld's Uglies and Lowry's The Giver for sure. And sorry, kids, but this one's not due out 'til November. *This is a high compliment as that is maybe my favorite book of all time. Hmm ... this one definitely sounds intriguing. I'll have to look for this one once it comes out. Thanks for the review! Fantastic review! I have this on my TBR list and can't wait till it is published. I enjoyed the Giver and other dystopian fiction I've read and after reading your review I'm sure I will love Matched too. I can't wait to buy this for my library! I love dystopian fiction! We'll have to get this one for the library. Love the new page look, btw! This sounds great! But . . . I have to wait until November? Really? Yeah, super jealous of your ARC. I love your new look - it's very springy!